With an extensive background in energy marketing, trading, and data services, Mr. Braziel is one of the most respected authorities in the field of energy information and markets. 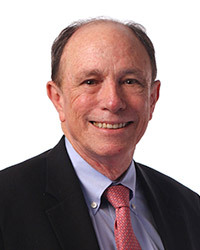 Mr. Braziel spent 20 years with Texaco (now Chevron), serving as Vice President of Natural Gas Marketing and Trading and Manager of NGL Supply. Subsequently he was Vice President of Business Development for The Williams Companies, one of the largest U.S. natural gas pipeline companies. 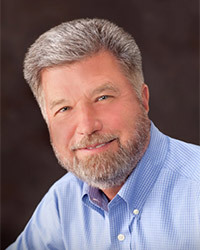 In the 1990s Mr. Braziel founded and served as President and CEO of Altra Energy Technologies, a developer of energy transaction management software and electronic trading systems. He also was Vice President, Natural Gas Liquids Marketing and Operations for EOTT/Link Energy, LLC. Later he was co-owner and senior executive at Bentek Energy, an energy consultancy purchased by Platts/ McGraw Hill in 2011. 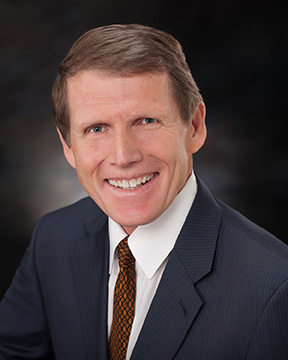 He is currently a member of the Board of Directors of Wyoming Refining Company, the board of the North American Energy Standards Board (NAESB) and is the author of numerous articles and publications. Mr. Braziel holds BBA and MBA degrees in Business and Finance from Stephen F. Austin University. Ms. Mitchell’s 30-year career in the energy industry has been focused on marketing, trading, distribution, business development, acquisitions & divestitures, and corporate restructuring of business around natural gas and natural gas liquids. She started her career as a scheduler for natural gas liquids (“NGLs”) for MAPCO (now Enterprise) and subsequently traded NGLs for Texaco (now Chevron). She served as manager of natural gas trading for Texaco Natural Gas. At the Williams Companies, she managed supply chain management, branding, product development, customer service, e-business and lead the development and operations of the internet based live energy network, Energy News Live. Also at Williams, she served as Vice President of Enterprise Services and Real Estate and President of The Williams Foundation. 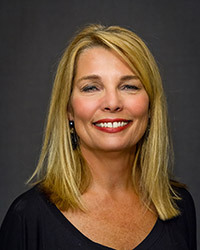 Ms. Mitchell holds a BBA in Business Administration from the University of Tulsa. Mr. Smead specializes primarily in the natural gas sector, offering expert policy analysis and advice, litigation support, and strategic advice with respect to gas pipelines, potential supplies, and market initiatives. His background includes over nine years as a Director with Navigant Consulting, Inc., and over three decades in the natural gas industry. That experience included over 20 years as the chief regulatory officer for major interstate pipeline systems, with multiple experiences advising non-U.S. governments in the creation of a regulatory structure. His consulting practice has spanned the LNG industry, both for project developers and for a large national oil company, and the U.S. shale gas boom and its interaction with LNG, the pipeline industry, power generation, and other gas markets. At Navigant, he managed and co-authored the first major quantification of the U.S. shale potential in 2008, the pivotal North American Natural Gas Supply Assessment. Most recently, he has been deeply involved in the opportunities for the use of the nation’s natural gas abundance, including power generation, LNG exports, and gas-to-liquids technology. He holds a Bachelor of Science in Mechanical Engineering from the University of Maryland and a law degree from George Washington University. 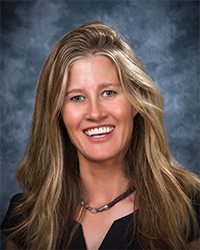 As RBN’s Director of Energy Analytics, Ms. Van Hull is responsible for developing and updating RBN’s NGL models for all of the major basins. She also plays a lead role in all of RBN’s NGL focused consulting engagements and is often requested to speak at client and industry NGL functions. Prior to joining RBN Energy in 2013, Ms. Van Hull worked for BENTEK Energy where she developed and implemented supply/demand models covering all U.S. NGLs. Ms. Van Hull was also the developer, lead analyst, and writer for BENTEK’s North American NGLs Market Call report specializing in supply and demand fundamentals for natural gas liquids markets. Prior to BENTEK, she was employed with Saddle Butte Pipeline developing greenfield projects in the Williston Basin. She holds a B.A. in Economics from the University of Michigan. David Braziel joined RBN Energy in June 2013 as the Director of Financial and Fundamental Analysis. Prior to RBN, David spent two years at Direct Energy as an analyst, specializing in data quality. 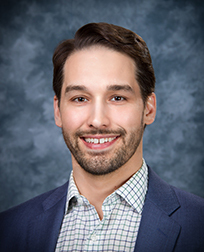 David began his career with BENTEK Energy before moving to Apache Corporation where he spent five years serving in various departments including revenue, valuation, and gas marketing accounting. David received his BBA in Finance from Baylor University in 2006. He earned his MBA from the University of Houston in 2013 with certificates in Energy Investment Analysis, Economics of Energy Value Chain, Energy Accounting and Finance, and Energy Risk Management. Mr. Potter brings over thirty years of experience in the oil & gas industry, including crude oil and natural gas trading, as well as providing consulting services on a wide array of North American and international projects. Mr. Potter began his career in the early 1980’s, working for UPG, Inc. (Northern Natural Gas’ crude oil and condensate subsidiary). From there, he co-founded Aquila Energy, which developed into one of the industry’s leading marketers of natural gas. In the mid – 1990’s, Mr. Potter joined Mr. Braziel as Texaco’s Vice President of Natural Gas Trading. Mr. Potter also spent time working with Mr. Braziel at Altra Energy, leading a team responsible for delivering Altra software to international clients, including Pemex, Mexico’s state owned oil company. Mr. Potter holds a BBA in Business Administration from the University of Minnesota.